Andrews Automation offer belt conveyors which provide a flexible solutions for businesses. Andrews Automation are at the forefront of integrated conveyor systems which offer businesses excellent flexibility and ROI (return on investment). The wide range of solutions which are available allows Andrews Automation to tailor make belt conveyors to exact specifications, dealing with everything from the initial survey right through to installation and after sales support / maintenance. 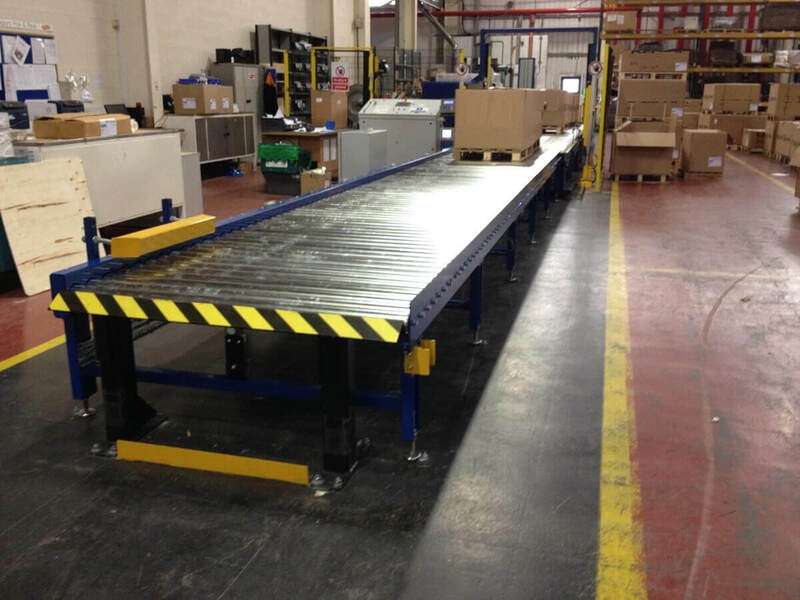 Andrews Automation recently completed the installation of a large conveyor system which involved handling and moving products over a large warehouse which was was split over two floors. Andrews Automation designed, manufactured and installed a twin-belt conveyor system which moved large quantities of stock from a mezzanine floor to the main sorting and packing area, much quicker and more efficiently than before. The system combined a system of belt conveyors and none-powered accumulation rollers which allows staff to sort and process orders much more efficiently than the completely manual system which was in place before. This system allowed the business to process more orders within the same production period and massively improve safety level due to removing much of the manual lifting involved previously. Andrews Automation provided the solution which is backed up by the after sales support and maintenance service, which allows them to maintain the belt conveyors for the lifetime of the system. Whatever your requirements are, we can built a tailor-made system to your exact requirements. Call our Applications Engineer today on 01405 768 900 to discuss your exact requirements.